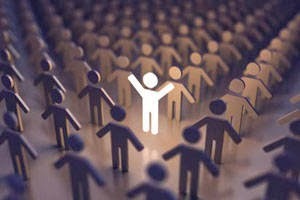 Home » Self Improvement » Dream of becoming a CEO? Dream of becoming a CEO? A subtle and silent change is under way in India Inc on the emphasis it seeks in its CEOs: humble and not haughty, sensitive and not insular, about solid teams and not about star individuals. This greater emphasis on soft skills, a manifestation of an economy in crisis and change, is illustrated by how a global bank, with headcount of about 1,000 in India, redefined its search for a country head to executive-search firm Kelly Services a few months ago. When Kelly presented candidates with plum degrees who had nurtured big brands, the bank's board showed no interest in even meeting them. It, instead, asked Kelly to shortlist candidates who possessed, along with ability and confidence, soft skills to develop talent and win customers. "The client wanted to know how the candidate has done as a people's person," says Kamal Karanth, managing director of the India unit of Kelly, declining to name the bank for reasons of confidentiality. Adds Jayesh Pandey, managing director, talent and organisation, Accenture: "Increasingly, organisations are looking for CEOs who are humble and have a greater people connect. It is permeating into the way companies are spending their talent dollars." Karanth says this change has crept in recently. "Three years ago, when a company would give a mandate for a CEO, some of the obvious traits would be peoplebig brands, with sales achievements, flamboyant, high energy, who can crack a million-dollar deal any time," he adds. "They would compromise if a person displayedthese skills but was bullying and arrogant." Headhunters say company founders and boards are now placing less emphasis on such attributes while drawing up a profile matrix. They instead want leaders who can tackle a slowing economy, a complex business environment and empower a growing number of Gen Y at the work place gracefully and effectively. That philosophy, they add, runs through some of the notable hirings and elevations of 2013: Bharti Airtel CEO Gopal Vittal, HCL Technologies CEO Anant Gupta, Britannia COO Varun Berry, Godrej Consumer managing director Vivek Gambhir and HindustanUnilever MD and CEO Sanjiv Mehta. In July 2013, when Mehta was anointed, Harish Manwani, chief operating officer of HUL parent Unilever, told ET: "He is not only a great leader, but a very humble man and a man of great compassion. So very competent and yet a great listener, and I have absolutely no doubt he will fit in HUL." For Navnit Singh, India CMD of search firm Korn/Ferry International, this realignment of preferences is a sign of maturity in the selection process. "Today, nobody is influenced by an individual aura or a well-known personality," he says. "Companies want leaders who are not rock stars, but who can work with a team of mini rock stars." Increasingly, those "mini rock stars" are becoming younger; they are also ambitious and have an egalitarian approach to workplaces. "Mostly in new economy companies,those in IT and ITeS that are managing more Gen Y, you need to have CEOs who are more grounded," says Karanth of Kelly Services. "Young people want to be heard and want to know that the CEO is listening," adds professor Linda Hill, Wallace Brett Donham professor of business administration at Harvard Business School, and chair of the school's Leadership Initiative. The focus is shiftingan individual to a team,quick growth to building an institution. "Increasingly, boards are also liking people who focus on company achievements and not personal achievements," says Anil Sachdev of School of Inspired Leadership, a private business in Gurgaon. "So, I don't see too many CEOs today interested in appearing on public forums. They would rather spend time with their internal team members." Sachdev is also a member of the HR committee of the Confederation of Indian Industry (CII). According to Hill, the imperative to spend time with employees is greater in the current shaky business environment, especially if hard steps are to be taken. "...( in such instances ) it's important for them to have the humility to understand that the person in front of them also has responsibilities and obligations," says Hill, who studied the behaviour of several global leaders during the 2008 downturn, including the then HCL Technologies CEO Vineet Nayar. Hill points out that, in the social milieu, many employees are not only supporting themselves, but also their extended families. "Every effort should be made to help laid off employees maintain their dignity; their treatment will matter not only to them, but also to the survivors in assessing the CEO'sacter," she says. "CEOs need to be sensitive to how people are feeling; they need to lead with transparency, accountability and humility." Rajeev Peshawaria has been the chief learning officer of Coca-Cola and Morgan Stanley, and has held senior positions at American Express and Goldman Sachs. While researching for his book 'Too Many Bosses, Too Few Leaders', he found that one reason why Howard Schultz of Starbucks, Jack Ma of Alibaba and Jeff Bezos of Amazonbuilt enduring businesses was that they understood the power of "we". "In the long run, business leaders who have the unique quality of 'humble confidence' are the ones that succeed," he says. "Collaboration is more key today than ever before, and involving Gen Y is an absolute must in order to create a better future." Kishore Biyani, promoter of Future Group, says Indian CEOs are adapting. "They are more receptive now to new ideas and change," he says. "They were far too stiff earlier and possibly also reflected the attitude of their own leaders." Vivek Gambhir, who tookge as MD of Godrej Consumer in June, says he spends more time visiting the company's various offices and factories; he does not just meet the management, but also reaches out to the officer-level cadre. Twice or thrice a week, he posts his observations on business and updates on the company's micro-blog Yammer. "From a personality perspective, flashy and high display energy is being replaced by an ability to connect on the ground," says Karanth. Rootedness in a CEO is something that Ramesh Chauhan, chairman of Bisleri International, has been searching for, though elusively. "Two years back, I sacked a person hired at that level for his inability to get a sense of what is happening on the ground," he says. "Most MBA-culture CEOs come in with pre-conceived notions and impose their thoughts on others. They just do not listen." And increasingly, neither do companiesthat.